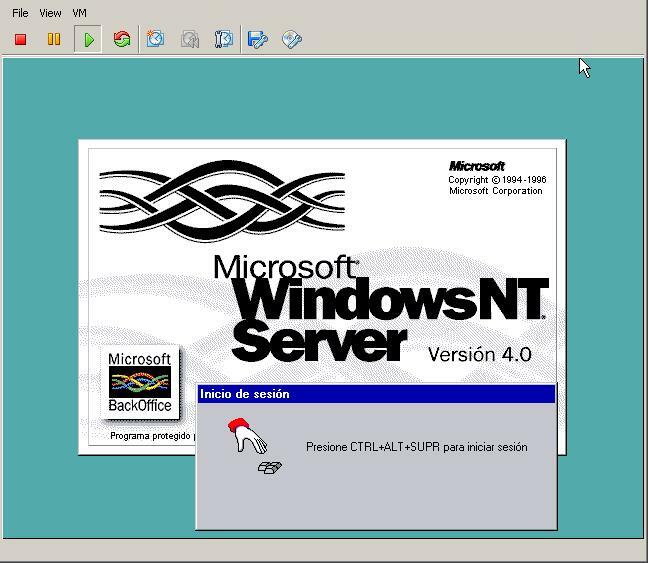 I needed to do a physical to virtual conversion of a Windows NT 4 system into an ESXi 6.0 environment. Readily available conversion tools will not work. I was able to convert the system using the steps listed below, which, at the highest level, amounts to taking a file image of the NT 4 hard disk and using it in the ESXi virtual machine. Note: I received a vmdk image of the hard drive that was created with VMware Converter 3.0.3. I assume, but have not confirmed, that the results described below could have been attained had I used Acronis to image the drive and then converted the Acronis image to the vmdk format. Note: The system defaulted to a SCSI target and added a new SCSI controller, which I deleted after establishing the hard drive as an IDE device. If your disks are set up as SCSI disks then you will need to use a SCSI controller and targets and not IDE as I did on the system I describe here. 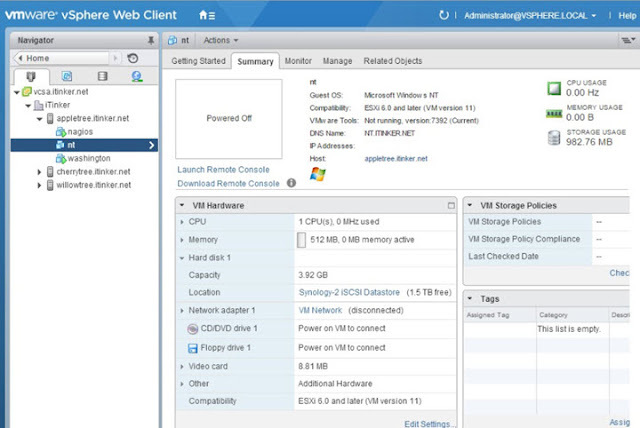 If your physical computer has more than one processor you will likely encounter problems running that operating system in the ESXi environment. I found that while the system ran, it used excessive amounts of CPU capacity, even when idling. I believe this is happening because the hardware abstraction layer (HAL) installed on these systems is for multiprocessor systems. ESXi only uses one processor with Windows NT. Note: The last line, from the second multi(0)disk to /kernel=unikrnl.exe, must be on one line. If your physical NT computer had hardware not included in the virtual environment you should consider removing the related drivers from your virtual NT system. 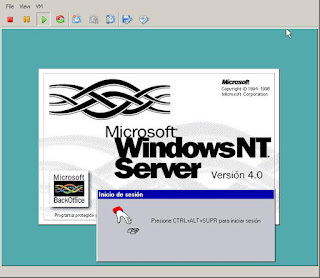 Windows NT is not PNP. It will not be using those drivers. Why not clean things up and remove the chance of conflicts with unused drivers?